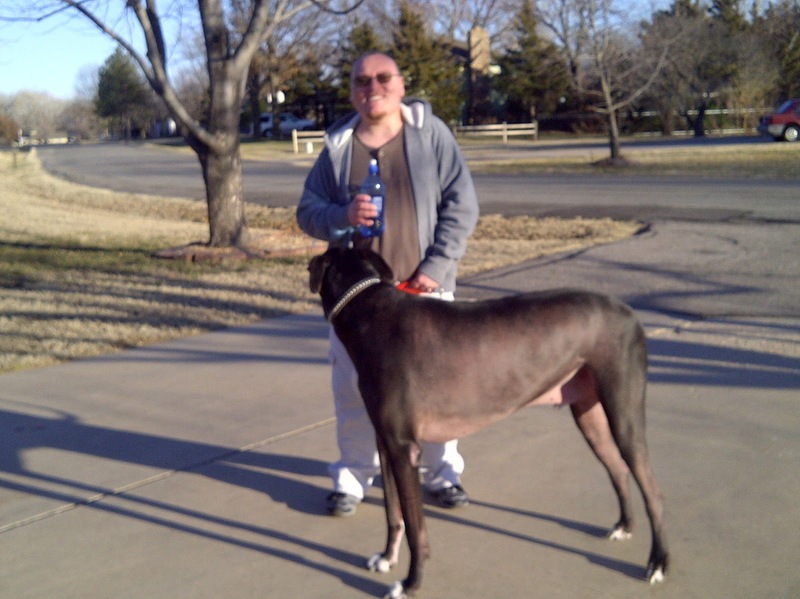 March 2013 – He Said What?! First, there was surprise. I heard Aaron get up and open his bedroom door. I was sure that he would come down the stairs to join me in the kitchen, but instead I heard the bathroom door close and then the shower running. Usually he holds off on showering for as long as possible, hoping on many days to avoid it altogether. That’s why I was surprised to hear him taking a shower right away, willingly. Then when he came downstairs he was actually clean. I can always look at his hair to tell if he has showered. That was surprise number two……the fact that he really did shower while the water was running. And that he was in a good mood. I soon learned why he was in such a willing, compliant frame of mind. “Mom, can I have the keyboard this morning?” Oh, yes, his motives are becoming clear. He’s happy because it’s Saturday and he’s compliant because he wants his keyboard sooner rather than later. I told him that he could have his keyboard, and then he asked, “So when can I have it?” And I told him that I would see about that………..and asked him about breakfast. Gary and I had earlier enjoyed an omelet and bacon, so I asked Aaron if he wanted some of that yummy omelet and he said no……….but he said yes to the bacon, of course. 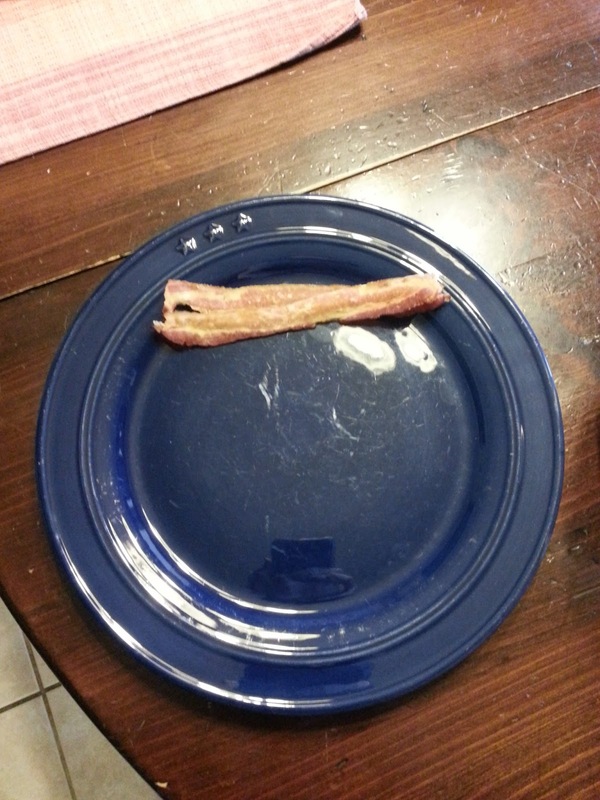 He proceeded to get a huge plate for his two pieces of bacon that were already on a plate, but Aaron can’t use the plate that the bacon was already on because he must have a new plate…….and the roller coaster started slowly chugging up the first incline. 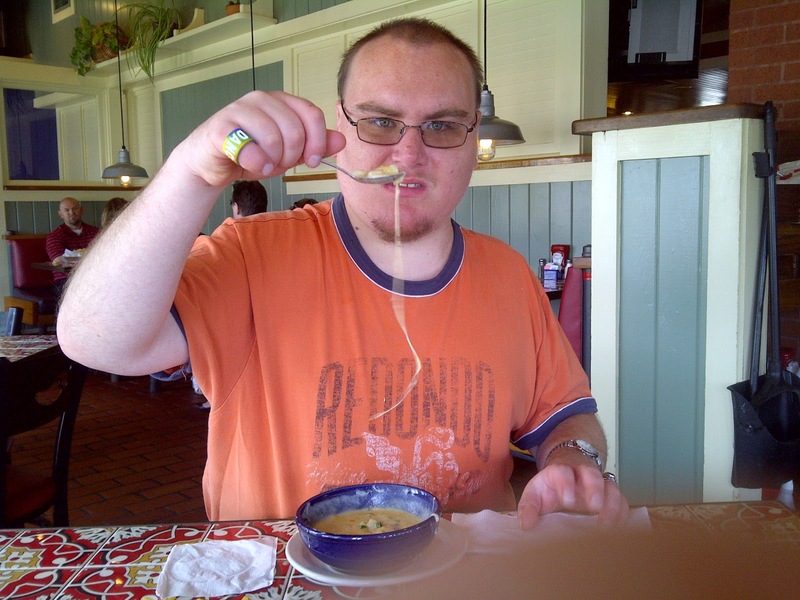 He poured himself some cereal and dumped milk in the bowl……..lots of milk. I usually ask him if he wants some cereal with his milk, but this funny saying is wasted on Aaron so this morning I saved my breath. “So have you decided when I can have my keyboard, Mom?” And he clicked his teeth with his spoon because he can’t stand to get his lips messy………chug, chug goes the car on the roller coaster. I don’t know about the keyboard, Aaron………as he slurps his milky cereal and I try to ignore the irritating sounds. It does no good to remind Aaron to not click his spoon or slurp his cereal. When I do remind him, he just slowly puts the spoon in his mouth and ever so carefully scrapes it over his teeth……with his lips bared back from his teeth like a rabid dog. It’s quite a sight and not one that I want to see this morning. Aaron got up to get his coffee, and of course spilled some on the floor. That, and the fact that he fed Jackson a cheerio when he knows that he’s not supposed to feed Jackson our food……..even one cheerio because with Aaron it will turn into multiple cheerios……….made my chugging roller coaster car go over the first hill and come barreling down the other side. He can’t help the shaky hands that spill the coffee……and I guess in some ways he can’t handle the impulsiveness that makes him feed the dog. Still, so frustrating! We finally headed upstairs, but not before Aaron had to check the weather in the newspaper. This is very important to Aaron. He saw that we have a chance for rain, so he had to discuss and discuss what this means. “A chance means it’s not really!” And we’ll just leave it at that, Aaron. All these discussions are wearing me down as my roller coaster car is inching up another incline……….nearing another downhill lurch that lay just ahead. 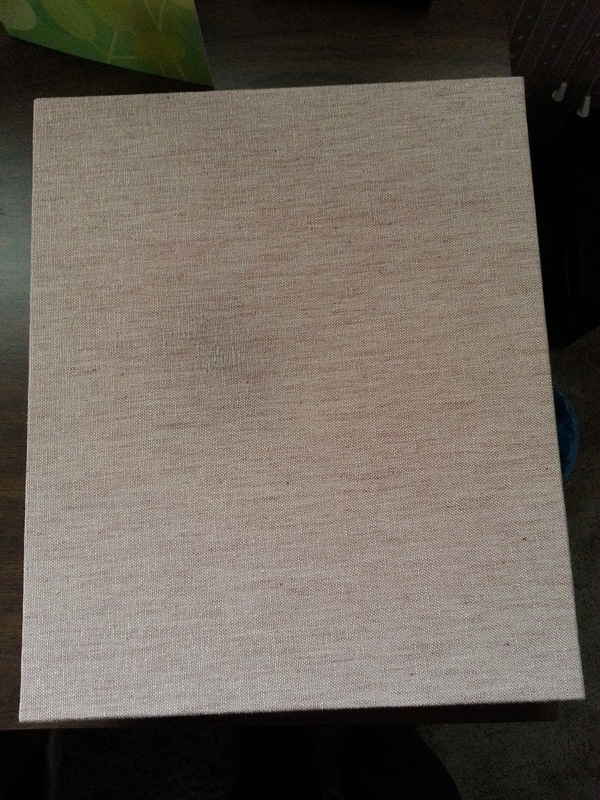 We walked into my bedroom and for some reason, Aaron picked up a pin on my desk and scribbled on my box that is a part of my new desk set. He knew right away that he had goofed big time as I gasped. I went on and on about why he did that as I tried to scrub the ink stain out, and poor old Aaron just went into overdrive with his talking. This is the way he handles the stress of a major blunder. 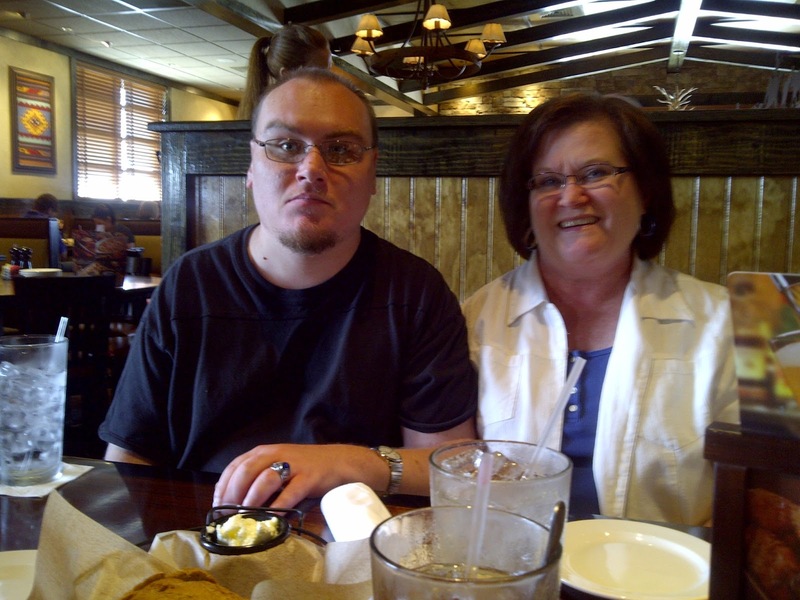 His impulsiveness has gotten him into hot water and Mom is not happy………..and he knew the keyboard was in jeopardy. My roller coaster car was crashing down the steep incline as I tried to hang on and not lose control or lose my temper. He did what he does best……………talking in the fastest speed that he could muster. Well, soon it was over. Aaron was happy on his computer, pecking away on his keyboard. 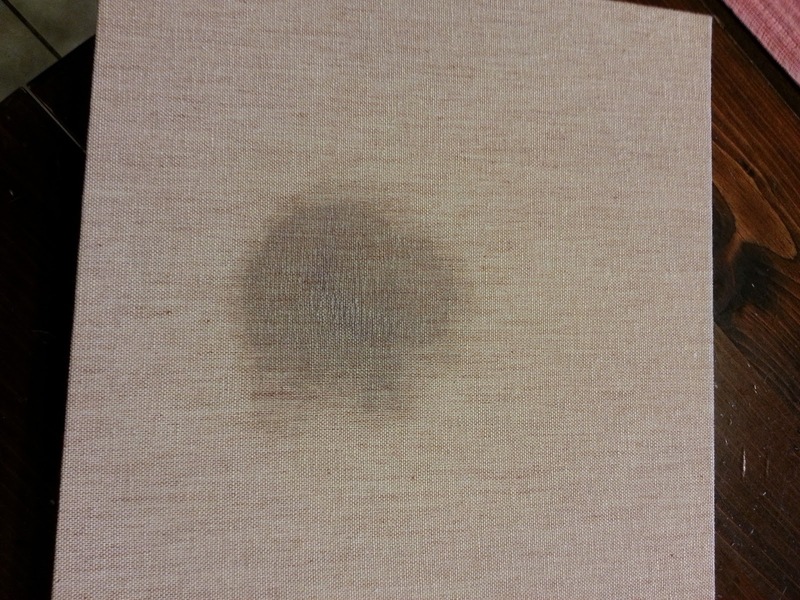 I stared down at my blotched box, hoping that the ink stain would be gone when it all dried. I thought of the marks that Aaron leaves on my life. Some are welcome works of art, and others are carelessly splattered dabs of ink that are reminders of frustrations and anger. Yet all can be used to create a masterpiece painting if I let God have them. I need to wipe away the marks that bring defeat or that can cause hurt to Aaron……….difficult as that can be at times. Ignore the clicking teeth and slurping noises even as I remind him to stop, and sit back to enjoy his conversation and listen to his unique expressions of the world he sees. The roller coaster of life with Aaron can take my breath away, but I pray that it’s more often because of laughter and delight instead of anger and reprimand. And I’ll wipe away the ugly marks, and strive to leave none of those on Aaron’s life, as well. Let God’s artistry shine! And hang on for the ride! A few months ago, someone on Facebook sent me a friend request. Her name is Kiki Davis (Katy) and I soon learned that she was the daughter of our college friends, Leroy and Cathy Davis. As I read her posts and comments, I also learned that Katy had been away from the Lord but had recently given her life to Christ again. I also learned, just a short time ago, that Katy had a serious blood disorder that prevented her body from being able to fight infections. Like I said, I didn’t know Katy well – but here is what I do know from the short time that Katy has been my friend. I knew that she was very thrilled to be walking with the Lord again. She posted many exuberant statuses about her love for God and her desire to be where – and what – He wanted her to be in every area of her life. She admitted her weaknesses, her fears, her frustrations…………but also repeatedly gave these areas to God for Him to handle. She felt that God was calling her to something great and she was stepping out in faith and in submission to fulfill this great calling that He had placed upon her. This morning God fulfilled His purpose for Katy. He did call her to something great. Early this morning, at 5:55, He called her to heaven. I knew that Katy was in the hospital and that she was fighting pneumonia. I didn’t know how very sick she really was. Her body could not fight the infection and so she passed on into heaven this morning. I was shocked to read the news. But something soon came to my mind as I remembered how excited Katy was to realize that God had placed a call upon her life. I’m fairly certain that she had no idea what that call would entail, but she was willing. And I am also certain that in her death, many will be reminded of what it means to be God’s child and to be sure of that fact. I’m sure that Katy would want all of us to know that we know that we know that we are ready to step out into the eternity that awaits each of us. And I think that Katy would want us to be willing to let God use us, even if it’s in death, to point us to what is important. Only a life lived in and for Christ is of any value. Katy knows that now more than ever! Her life – and now her death – are a testimony to that truth. Katy wanted to be a testimony and to give testimony. She spoke of this often on Facebook. Now she is a testimony that cannot be ignored, in a way that I’m sure she never dreamed she would be called to do. Katy’s troubles and sufferings were temporary, and she had learned that lesson. She knew that what can be seen and experienced on this earth lasts only for a time………and what cannot be seen lasts forever. Now she is enjoying a tremendous and eternal glory! My short time of knowing Katy has enriched me and she has been that testimony to me that she so wanted to be in this life. I’m sure that she has been that same testimony to many others as well. Thank you, Katy, for letting God use you……….more than you knew and in a way that you probably never expected. Now bask in God’s glory on this Easter! I haven’t written much lately. The inspiration to write comes and goes. Time constraints……..other obligations…………..burdens and concerns that sap my motivation………….feeling like there is really nothing new to say. Yet with Aaron, there is always something to say, whether it’s exactly new or not. How that son of ours loves to talk! Sometimes I feel like I’m drowning in his words, many spoken in his monotone voice that can lull me into a zombie state in no time. For instance, Star Wars Commando Republic…….oh my goodness, if I could only fully describe his focus on this particular game right now. He has been playing Star Wars Commando Republic on his computer over the past several weeks. And talking about it, over and over and over and over. I don’t understand the game………I don’t know the various players………..I can’t distinguish between the good guys and the bad guys…….and furthermore, I truly don’t care. But this game is Aaron’s particular focus right now and so I hear about the game – I hear about the various players – I hear about the good guys and the bad guys……..constantly…….whether I care or not. “Mom, did you know that the Transdoshans………. ?” And off he goes, while I mentally am a million miles removed from Transdoshans. Then I hear Aaron saying, “Right, Mom?” And he waits for my answer. There often is none. So the question is repeated and I end up usually giving a profound answer, such as, “I don’t know, Aaron.” Which only gives Aaron the go-ahead to repeat all that he just said about Transdoshans for his rather slow mother. Sometimes I get creative and instead of saying, “I don’t know, Aaron,” I will say, “I’m not sure, Aaron,” and the result is the same………..Aaron educates me once again about the subject of Transdoshans or Advisors or Geonosians or whatever it is he calls all those various characters. Other times I say, “Well, Aaron, you’re the one who has played this game and knows all about the characters, so I’m sure you know the answer much better than I do.” And yes, he does know the answer better than I do, so he proceeds to share it with me in his monotone voice that again sends me into outer space with my fellow Transdoshans, floating in a mental no-man’s land. He came downstairs this morning as I sat at the computer, thinking that maybe I would write a little. He wasn’t thumping down the stairs in his usual loud way, but coming slowly and as quietly as he can be. He was trying to “scare” me, so I played along and gave a fake gasp as he walked over and touched my shoulder. He laughed and then launched immediately into how he went to bed early and how he slept well and how he got to such-and-such a level on Star Wars Republic Commando………..and I knew I was trapped. Before I was able to herd him upstairs toward the bathroom and his shower, I had looked up a video of Star Wars Republic Commando and observed the Advisor and had dissected everything about the Advisor…….how he talks, why he looks like a ghost, what his job is, why he advises, what he advises about, and how he advises using headphones, and on and on and on………..zzzzzzzzzz. I answered, “It will probably come sometime next week.” Aaron grabbed on to the word “week” and since I ordered the book on Tuesday, Aaron said, “So the guidebook will come next week on Tuesday?” So I had to explain that by saying “week,” I didn’t necessarily mean a literal week from the day it was ordered……….that saying “next week” means any day during that next week……….not just a literal week of 7 days. But Aaron was in the same comatose state as I tried to explain about “week” as I am in when he tries to explain Transdoshans. Every single day since I ordered the book, and many times during every single one of those days, Aaron would ask, “Mom, is that guidebook coming on Tuesday?” And every single day that Aaron would ask that same question, I would answer the same way every single time, “Aaron, I don’t know.” It was futile to explain the literal week concept again………..except that it did cause Aaron to be quiet for a short period of time. One day he said, “I can’t wait til that guidebook comes. That’s not my fault that I can’t wait!” No, Aaron, it’s not your fault. And don’t you know, the guidebook finally arrived……….on Monday! Not even exactly a week from the day it was ordered, but thankfully he didn’t really even care about that confusion. He was very happy to have his book………and I was very happy to not hear the questions over and over every single day about when the book would arrive. The staff at his day group is also hearing all about Star Wars Republic Commando. He came home yesterday carrying some cheat codes that Barb had found for him on her computer. She had printed them out and he was happy as he could be. I’m thankful that Aaron is surrounded by people who understand him, and help him, and make sure that his life is happy. He will continue to expound on Star Wars Republic Commando and I will continue to say, “Uh, I don’t know,” and he will continue to try to help his clueless mom understand all the ins and outs of this favorite game of his. But I do know that I understand Aaron and I can explain Aaron at least to some degree. And I know that I love Aaron, even with all his quirky ways and his obsessions that drive me into oblivion. I better run upstairs now and finish getting ready…………and finish listening to more about Star Wars Republic Commando before I wave goodbye to Aaron for the day and leave the listening to other tired ears for a few hours. I wonder if they know any more than I do about Transdoshans or Geonosians? 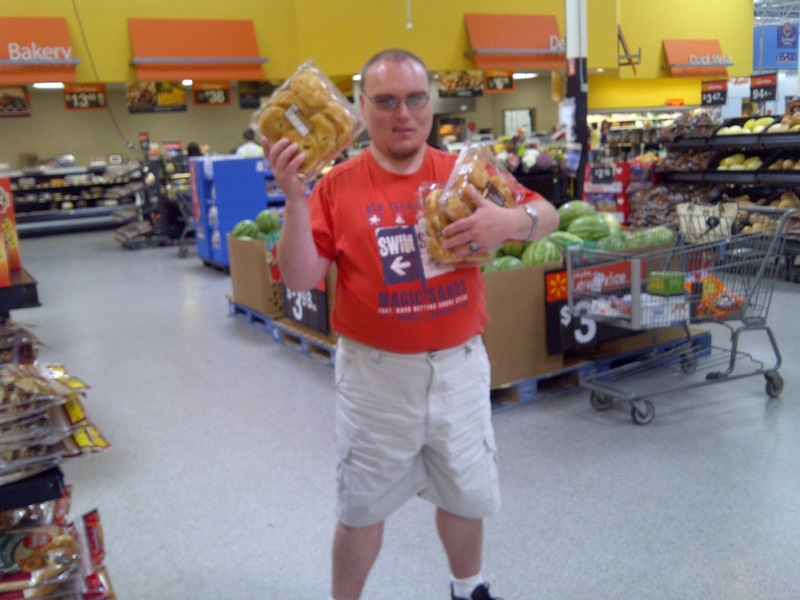 Author hesaidwhatksPosted on March 27, 2013 Categories Adult Autism, Asperger's SyndromeLeave a comment on I Don’t Know. I Don’t Know. I Don’t Know. Yesterday was a beautiful first day of spring. The bright sunshine belied the fact that we may get some snow this weekend. Ah yes, spring is a fickle time of year for sure! By this time of year, everyone is ready for the cold, gray days of winter to give way to the bright colors of spring. We are ready to listen to the happy chirping of birds and to enjoy the fresh smell of spring that is somehow in the air. Snow is not something that we look forward to when everything in us is longing for warmth and for open windows and walks in the great outdoors. I’ve become used to looking outside and seeing our brown flower beds. They are full of faded mulch and the ugly stubs of once pretty flowers. I didn’t get the dwarf crepe myrtles trimmed back last fall, so those tall dead limbs stick up as a constant reminder that they have had no visible life for several months. Crunchy dried leaves are piled among the straggly remnants of last year’s growth. Almost everything is dusty and crunchy, a drab brown and gray palette that does nothing for the senses. It’s a scenery that is a reminder of what has been……….of what once was………. but now of uselessness and decay and death. Yet as I drove to an appointment, I saw what looked like the beginnings of buds on some trees. I saw some pale yellow daffodils blooming beside some one’s house. 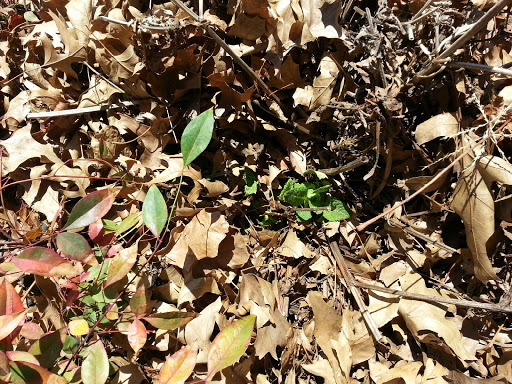 Later, at home, I went out with our Great Dane and while he explored the yard, I decided to do a little exploring of my own in one of the flower beds. I bent over and looked closely. Then I gently moved aside some of the dry and faded mulch. 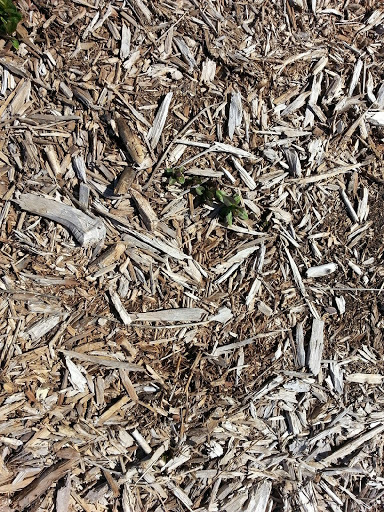 And there, under the all the dullness of the mulch and the dirt, I found the tender green shoots of our garden phlox poking through the soil. 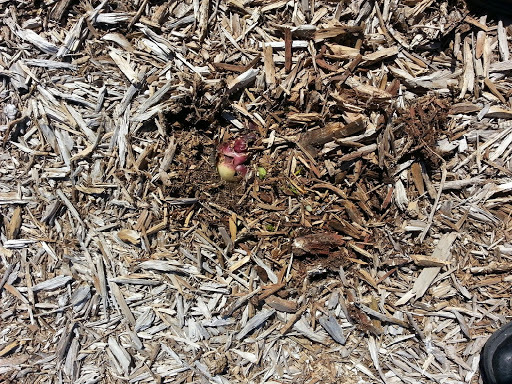 Behind me, as I searched some more, I found the young sprouts of our tiger lilies coming out. 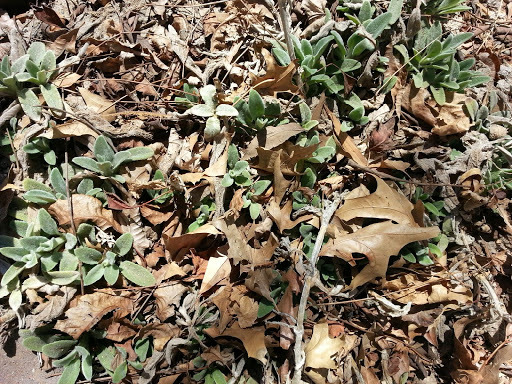 Jackson and I walked to the front yard, and there as I did some more gentle digging I found the fresh green of my salvia showing among the dead growth of last summer. In the corner of that flower bed, without any digging needed, was the unmistakable soft and fuzzy newness of my lamb’s ear. From a distance, the scenery was still dull and lifeless. But when I took the time to look, I could see the beginnings of new life. 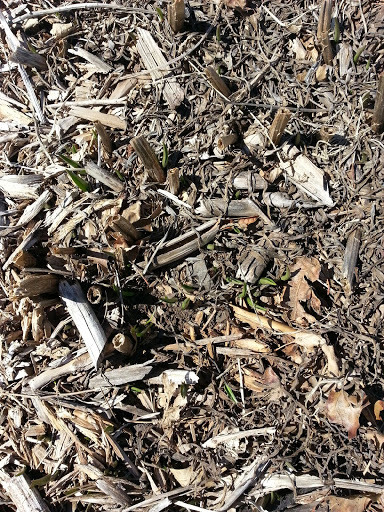 I could see the hope of a beautiful spring starting to emerge from the seemingly lifeless ground. My journey on this earth is full of ups and downs………..the seasons of life shift and change as time goes on. There are seasons of growth, seasons of calmness, seasons of joy……….and then there are those seasons when I feel a chill in the air, seasons of storms when the sun is hidden, and seasons when I feel that around me I only see the fading of what was. The drabness of my current sad situation threatens to overtake my vision. Looking out the window of my life only reveals a dusty mess. We all have these seasons of life. Sometimes the seasons change suddenly. In a flash, we go from happiness to despair. At other times the shifting is more subtle. Days and months flow by, and we begin to slowly realize that life has altered and there seems to be no way to get things around us back to the growing, thriving standard that we once knew. I know that in the dreary days of winter, my perennials in the flower beds around our house are safe underground. They are alive, though not seen, and they are being fed by the moisture that comes. Even the cold, harsh snow will give them the sustenance they need in order to survive. So it is in my life…….in your life…….as we follow Christ. The seasons where we only see gloom and coldness are really the times that we have an opportunity to rest under the care of our heavenly Father. Let Him nourish us with His Word, with how He speaks to us in the listless times through the Holy Spirit, and how He uses friends to encourage and lift us up. The reasons for our dark times don’t even always need to be understood or explained. Many times, God just wants us to be still and to let Him work as we lay buried in Him. Just as sure as I know that my garden phlox and salvia and lamb’s ear will return, so I know that God will cause His righteousness to prevail and His praise to spring up in my heart once again. No matter what stress and change and disappointment we face, we can know for certain that God has a season of growth ahead for us………a season of beauty……….a beautiful spring up ahead. I was enjoying the peace of this early Saturday morning, finishing up listening to an on-line sermon by my brother, when I heard Aaron coming rather softly down the stairs. Doing anything softly is unusual for Aaron. I held up my index finger, signaling for Aaron to be quiet – something else unusual for Aaron to do – but he surprised me by not speaking………for at least several seconds. He stood there scratching instead until I made my “yuck face” and he stopped. He actually let me finish the last few minutes of the sermon without interrupting too much, but once he heard Uncle John pray he knew that he was now allowed to be center stage. Uh……no, Aaron. So out of his pocket he pulled a pair of his new blue underwear. I laughed as I told him that they were blue, and I was reminded of how he sees blue as being pink………….just like Granddaddy! And I was glad to clear up the issue of pink versus blue, as I know that he would end up telling everyone at his day group that Mom bought him pink underwear! After his shower, he marched into the kitchen to see if his toast was ready. “Mom! During my shower, I got soap in my eye. How long will it stay until the hurtness goes away?” But he forgot all about his eye as he dug into his cinnamon toast. He did, though, realize that he should explain why he was still shirtless. “Mom, I’m waiting for my underarm to cool out a little before I put on my deodorant.” OK, Aaron………..makes perfect sense to me. So we looked up the Tarantula movie trailer on YouTube. It’s an old movie from 1955 that Aaron found at Wal-Mart, and is the next on his list of Movies That Aaron Wants. The trailer was hilarious……….with the nuclear genetically modified tarantula wreaking havoc on mankind and womankind. Splashed across the screen in scary writing was “The Towering Fury No One Can Control.” EEEKKKKK!!!!! Except that Aaron was a combination of breathless excitement and laughter as he watched the enormous tarantula attacking anything and anyone in its path. “Mom!!! See its biters??! !” Yes, Aaron……….such huge biters! “So Mom!! Nuclear energetic is something that makes things huge? !” It must be, Aaron. “And Mom!! They can’t even blow him up! !” I noticed that, Aaron. “Mom! See?? The electricity doesn’t even hurt him!” Amazing, Aaron. Then suddenly Aaron switched to quicksand. Yes, as quick as anything, Aaron was talking about quicksand. That’s why you would have found us looking up quicksand on Wickipedia, and then quicksand videos on YouTube……….which Aaron loved far more than just reading words. Seeing people sink in quicksand was too cool! He clomped downstairs to tell Gary all about how to extricate himself from quicksand in case Gary ever found himself in that predicament. So our morning went, as I ended up with his headphones on my ears listening to the cool music on his Star Wars game and trying to explain it to Aaron. Believe me when I say this………..Aaron. Notices. Everything. From light pink underwear to woolly mammoths to genetically altered tarantulas to millions of years………..nothing escapes his attention and his lengthy commentaries. He knows we don’t agree with millions of years, but we do agree that our Aaron is one in a million for sure. Yesterday Aaron woke up very tired………or so he said. I finally agreed to let him stay home, but he did not get his keyboard all day. That meant no computer games at all. He could watch movies but not play games. I was gone to my PT appointment for a short time, and then later to my mother’s prayer group. Other than that, I was home all day. Home with Aaron. Home with Aaron and no keyboard. I love Aaron, but it was exhausting. Part of it may have been my mood……..I was just a little tired myself, and thinking of too many things to be able to enjoy Aaron’s non-stop talking. Seriously………for almost the entire day, he followed me everywhere. I did not want to talk about the Predator/Alien computer game that he wants us to let him have. I did not want to talk about the Airbender movie. I did not want to talk about what he had read in his Handy Science Answer Book. I did not want to talk about forensics. I did not want to talk about Cheetos. I could go on and on, but it makes me tired again. By the time bedtime rolled around, I was very thankful to pull the covers up and have a reprieve…….after two good night hugs and several, “Wait! Mom! Mom?? I wanted to tell you one more thing! !” I was brushing my teeth when I heard him outside our bedroom door. “Mom! Mom! Mom? Mom?” I opened the door, hoping he didn’t see my gritted teeth, and he gave me one more big, warm goodnight hug. That brought on the guilt, but I was too tired to really be affected much at that point. This morning, refreshed and with rested ears, I was in the kitchen when Aaron thumped down the stairs to find me. He came into the kitchen and with bright eyes and a lilting voice, he said, “Mom! I’m not tired at all! I went to bed early! 10:59!” I smiled at the exact time that he mentioned. Dear Aaron! How can he be so precise in the matter of numbers, but so clueless as to the feelings that he should have been able to see displayed so clearly the day before all over his mother’s tired face? We had a pleasant morning. Aaron wanted once again to stop at Dillon’s for more jelly beans like we did a couple days earlier. As we drove to meet his group, he was full of talk about the Titanic……..because he’s watching the Titanic movie, so this is his latest topic. Why did the smokestack break? Why was there an iceberg? Was there metal in the ship? What is that dancing place on the ship? Why were they using Morse code? What is Morse code? Do we use Morse code now? Granddaddy knew Morse code?! He was so intent in expounding upon the Titanic that I was hoping he wouldn’t notice that we drove right by Dillon’s. But not Aaron! “Mom, was there metal in the Titanic? Aren’t we stopping at Dillon’s?” I told him that we didn’t have time this morning for Dillon’s, and so he continued with his Titanic monologue. We pulled up beside the Paradigm van, and as Aaron got out I handed him some Jolly Ranchers to take to Paradigm. This reminded him of the fact that I hadn’t gotten him the jelly beans………and he got angry. He yanked the bag out of my hand and slammed the van door…….but not before calling me a name. Then another name, and another……..each one a little worse than the one before. No cursing, but just mean old rudeness nonetheless. I so wish that Aaron could verbalize his feelings without acting like a spoiled 4 year old. Cody, his driver, was frustrated. I was, too, and embarrassed. This afternoon, Aaron called and launched right into his thoughts about a game he wants……..but I called his attention immediately to what had occurred this morning. “Mom, I said I’m sorry!” I reminded him that he had not. “Well, I feel better now!” And I reminded him that I did not. “Well, when I got here today I was thinking in my mind that I’m sorry.” I told him that this didn’t help me at all……….and he said he was sorry, but I never really know if he is truly sorry or if he’s just wanting to put that chapter to rest. I saw an article in our newspaper today with the headline – Caregiving is a Marathon. I thought of my day yesterday with Aaron. He was happy but being with him all day was so tiring for me. Then today………..he ended up angry and rude, which caused a different kind of tiredness for me. I’ve always thought of caregiving as involving the physical care of an aging or sick family member. But seeing that headline made me realize that caregiving is what Gary and I do day after day for our Aaron. We are still responsible for most of his care, much as we did when he was a small child. We love him so much and we want to care for him, but it does take a toll. I in no way mean to sound like I’m whining or wanting sympathy. These are just facts. And I think of all the moms and dads that we know who are in similar, or much more serious, situations as we are. Those with little or no help, who are stretched financially……physically……emotionally…..spiritually. I think of the doctor appointments, the hope of a new plan or a new treatment that is slow in coming or may never be found. I think of the effect on siblings of having a special needs brother or sister, and the many ways that this impacts their family. I think of how hard it is to go anywhere…….to church, a movie, shopping, eating out, a vacation. They may not respond, but we know that they know they are loved. Through all the ups and downs, the tears and the laughter, the tantrums and the sweetness……..there is love. We run the marathon, not knowing where the finish line even is or if we can possibly make it. But with God’s strength, and with the support and the care of our family and friends, we will make it. We’ll run the race that God has set before us. One day at a time……..one hug at a time……one “I’m sorry” at a time. Mom! Don’t You Want a Door?! This evening after supper our door bell rang. 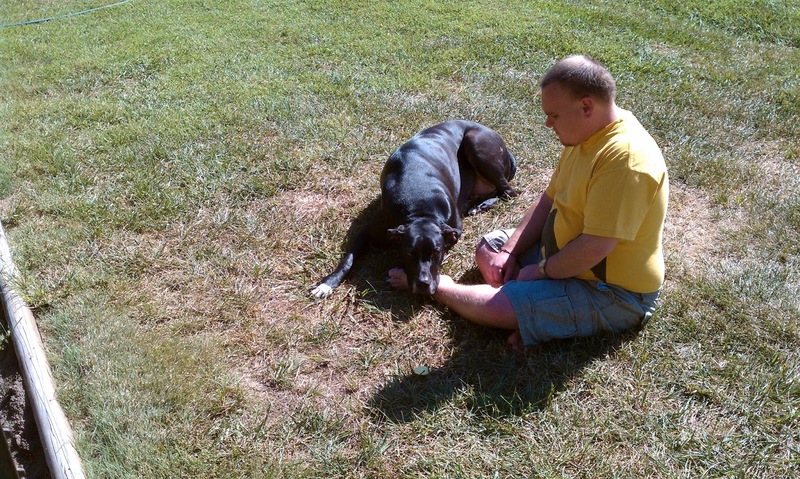 Gary was way out back taking Jackson on a stroll around the yard. I was just finishing up in the kitchen, and Aaron was with me – talking, as usual. Aaron made a bee line for the front door as I hustled along behind him, telling him to not open the door; to let me get it; and to HUSH! I glanced out the window and saw a cute young lady standing there with her hand full of door hangers. Oh no! A solicitor. 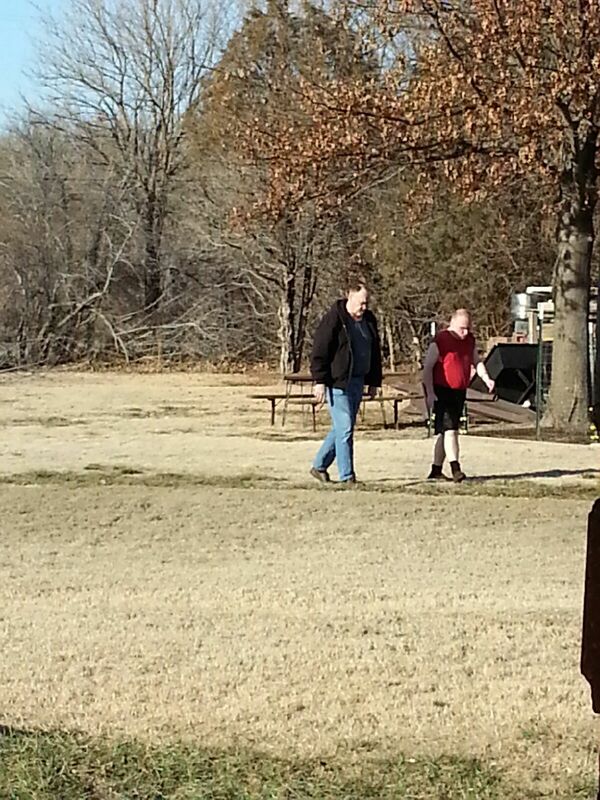 As if that isn’t bad enough, a solicitor showing up while Aaron is home. You see, I’ve had my fair share of experiences with Aaron and salesmen who show up at our front door. I shooed him away, but I had no sooner opened the door and said hello than I heard Aaron coming up behind me. This is a familiar routine when a salesman comes to our door. Aaron and I are about the same height, so as I move to the right in order to block his view he moves to the left. Then as I move to the left he scoots to the right. It’s as if we have a choreographed greeting going on because I’m trying to smile and say hello as normally as possible, all the while knowing that Aaron is bobbing his head around either my right or left shoulder. He’s dying to know who is at the door and what do they want and what are they selling and will Mom buy something? After all, it just might be cookies or popcorn!! 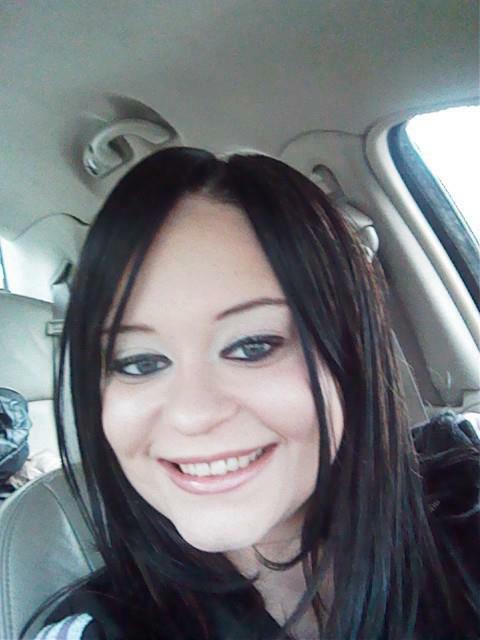 This soft spoken young lady was telling me about Anderson windows and siding and doors. By now Aaron was standing on the stairs right inside our front door. This gave him the advantage of being able to see over and beyond me no matter which way I moved. But the disadvantage was that he was now farther away from the action, which always makes him worry that he’ll miss something important. Therefore, he asks, “Mom?! What does she want?” I motion for him to hush even as I’m trying to listen to what she is saying. She tries to continue her sales talk even as she’s trying to figure Aaron out. He can be very distracting, you know. 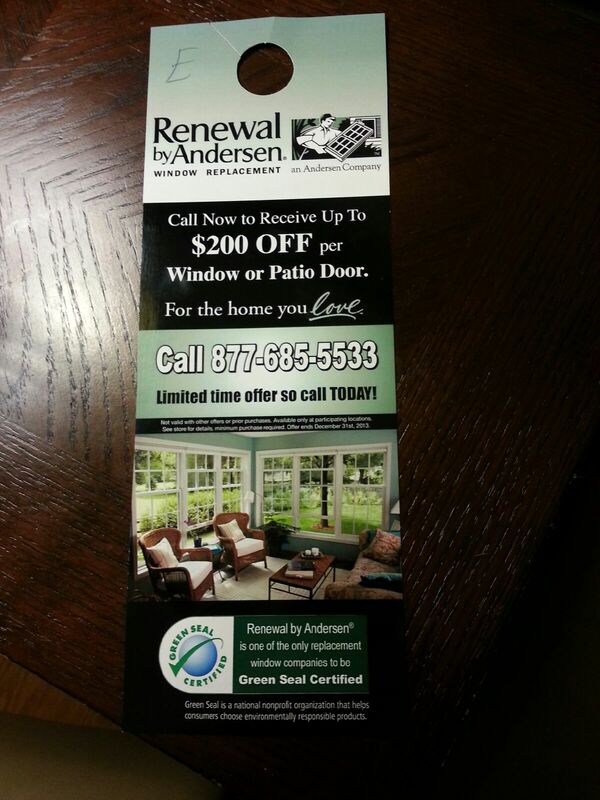 For crying out loud, Aaron, why don’t you just ask if the Anderson company will hire YOU to pass out the fliers? Of course, I was compelled to take the advertisement. The nice young lady smiled broadly and Aaron clomped off to the kitchen, satisfied that Mom had taken the flier and now all was well. I remember the summer afternoon that the cleaning spray guy came to the door. I thought that maybe, just perhaps, Aaron hadn’t heard the doorbell. No such luck, I realized, as I heard him thumping down the stairs behind me. Soon his head was bouncing from side to side as we did our little dance. He was enthralled as he saw the salesman spray our storm door window and wipe it clean with his handy cloth. Wow! This was even better than popcorn and cookies! I put my foot down when the man turned to head toward our van, spray bottle ready in order to show me how amazingly he could clean the spots on the paint. I told him no, even as Aaron blurted out, “Mom! Let him spray our van! !” I gave Aaron a look that would have immobilized any other person…………but not Aaron, of course. The salesman began to direct his pitch to Aaron, and our bobbing dance went up a notch. I was so relieved to finally close our door…….the one with the little clean circle on the dusty glass…………..and talk to Aaron’s back as he thumped back up the stairs about NOT interrupting when someone came to the door. The young college student selling books was also a favorite of Aaron’s. He was very interested in all the books that she quickly told me about before I could even interject a no. She asked if she could come in and show us some of the books, and as I did finally say no, Aaron interrupted. “Mom! Let her show us the books!” I wanted to throttle Aaron as I stood there with a forced smile on my face………….a smile that I hoped was hiding my true intentions toward my son at that moment. “Mom! Don’t you want some books?” Somehow I got out of that predicament, even though Aaron talked for days about how I wouldn’t let that nice girl show us some books. Don’t even ask me how much fun it is when Aaron opens the living room doors while I’m distracted and lets Jackson out. Dealing with a 175 pound Great Dane PLUS a very loud son who wants to buy whatever is being sold is just more of a good time than I deserve. Trust me. It is. I’ve about decided to put up a No Soliciting sign. Why doesn’t someone come to the door selling one of those? Then I would let Aaron buy one……….maybe even two! That would make us both very happy! Author hesaidwhatksPosted on March 13, 2013 February 28, 2016 Categories Adult Autism, Asperger's SyndromeLeave a comment on Mom! Don’t You Want a Door? !